DELL’ISTITUTO EUROPEO DI DESIGN DI ROMA. ESPLORANDO LA DIMENSIONE METROPOLITANA DELLA CREATIVITÀ. 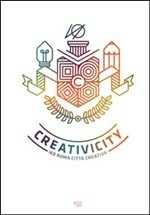 creative universe of Istituto Europeo di Design of Rome. exploring the metropolitan dimension of creativity. and points of view that we can only find in urban spaces.